Midgley United will start their Halifax AFL Challenge Cup defence against the team they beat in last season’s final, Warley Rangers. 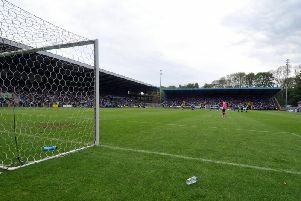 The Calder Valley side needed extra time to get the better of Rangers by 2-1 at the Shay in May. Both had byes in Saturday’s first round. The pair have already met this season with Midgley 1-0 away winners recently. Fancied Ryburn United will be strong favourites at home to Copley United while there will be another all-Premier clash at Northowram where the hosts, beaten semi-finalists last term, host Greetland. There is an all-Elland derby between United and Allstars while dark horses Illingworth St Mary’s will be fancied to progress to the quarter finals at Salem’s expense. Skircoat Green Physiotherapy Challenge Cup, second round: AFC Crossleys v Hebden Royd Red Star, Brighouse Sports v Shelf FC, Denholme United v Sowerby Bridge, Elland United v Elland Allstars, Midgley United v Warley Rangers, Northowram v Greetland, Ryburn United v Copley United, Salem v Illingworth St Marys. Matches on Saturday, October 31 (1.45). Ziggy’s Metro Cars Invitation Cup, second round: AFC Crossleys Res v Midgley United Res, Denholme United Res v Calder 76 Res, Northowram Res v Salem Res, Ryburn United Res v Sowerby Bridge Res or Sowerby United Res. Matches on Saturday, November 14 (1.45).